Looking to buy (or already own) AuthorityLabs? Click here to grab these free bonuses. Find out how Authority Labs has helped us stay one step ahead of the game. Do you want to save time and get a better understanding of how your site is positioned in Google, Yahoo! and Bing? Whether you are running one site with a few keywords or thousands of sites with millions of keywords, Authority Labs, an effective rank tracking tool, is able to supply you with all the information you need. The system is as easy as simply entering your domains and keywords and letting AuthorityLabs take care of the rest. This tool will automatically check your keywords every day. They feel that providing daily data is important because the more data you have, the faster you can see and respond if there are any dramatic changes to your rankings. Keyword performance in a graph. At a glance you will be able to see the average rank in Google, Yahoo! and Bing for all your keywords for the current day, as well as the change from the previous day and a graph depicting the thirty day trend for your keywords. You can select keywords and drill down to view more detailed data and charts for more comprehensive analysis, including keyword comparison graphs. The data can be exported in csv format for various time ranges (daily, weekly, monthly and quarterly) to allow you to create your own custom reports. If you are doing SEO for clients, AuthorityLabs allows you to set up a white label version of their system, branded with your company. You can add a custom logo, run the app on your own URL, have system emails come from your email address and change the text of the emails sent from the system. AuthorityLabs know that you are not the only one who needs to see your data so they also allow you to give as many people access to the data as you would like. There are no extra licenses to buy and nothing extra to pay. Another huge advantage of using AuthorityLabs is that they provide an excellent level of support. Their knowledge base is well organized and if necessary, they will provide you with phone support as well. If you are doing SEO work with partners, clients, freelancers or employees, the system supports extra users of your account free of charge. This service offers a clean and simple interface and it is extremely easy to use. You can try it out by taking advantage of the free thirty day test trial which is not limited in any way. You have a whole month to track your keywords. There are several different options offered when you do become a member. If you are a company who handles several clients, you would probably opt for the unlimited high end plan where you can track as many keywords and domains as you want. At the lower end of the scale, for a far reduced fee you can track as few as ten domains and a hundred keywords. You can also interchange between plans whenever you want. 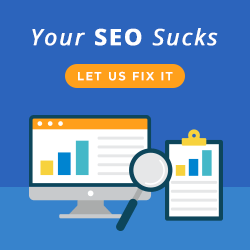 We have found at Melbourne SEO Services that this is an invaluable tool. The simple, user-friendly interface that tracks all our keywords by domain is just what we were looking for. Why not take advantage of their free month long trial and see whether it is the rank tracking tool for your business? Simply click below. Ps. 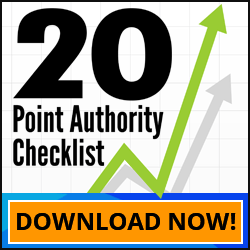 If you’d like to read another Authority Labs Review – Click here.